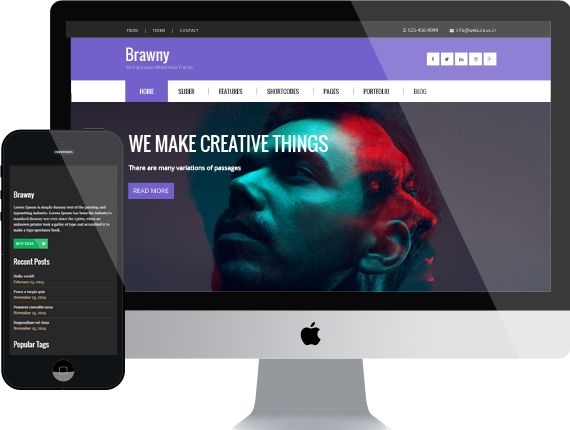 Brawny is beautiful and clean WordPress Theme ideally suitable for all business. You can create online shop as it’s integrated with the most powerful WooCommerce Plugin. Also this theme is completely responsive down to mobile phones. The design is retina ready so it will look sharp on all devices. Additionally we created special color palette. It’s so easy to change color scheme: just choose the favorite color for your Website and see the magic.